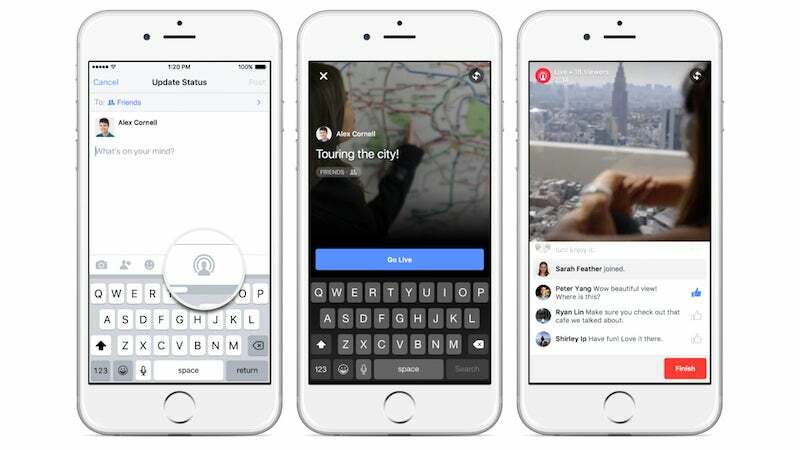 iOS: When it comes to live streaming, Periscope's been the most recent go-to option, but today, Facebook's getting in on the action. iPhone users will soon be able to start up a live video stream right from their phones that all their friends will see. This function has already rolled out in the US, and will be hitting the rest of the world in the coming weeks. To start a stream, you will be able to tap the Update Status button in the Facebook app, then tap the Live Video icon. After a few prompts to make sure you really want to send out that live video, your broadcast will start. Friends can tune in and comment in real time. When you end your broadcast, the video gets saved to your Timeline like any other video. From the viewers' point of view, you'll see a friend's live stream pop up in the regular news feed and once you're watching you can tap the subscribe button if you want to get notified of any future streams. Live streaming is iPhone only at the moment.